C'est sous le ciel de Venise que prend place la dernière campagne de Moschino, dont la styliste Rossela Jardini nous surprend avec brio avec une collection marin-militaire très BCBG. Une collection très masculine dont la Miss Moschino, digne d'un Corto Maltese au féminin, arbore fièrement casquettes de capitaines, spencers et blazers rehaussés d'une doublures et autres accessoires fleuris. 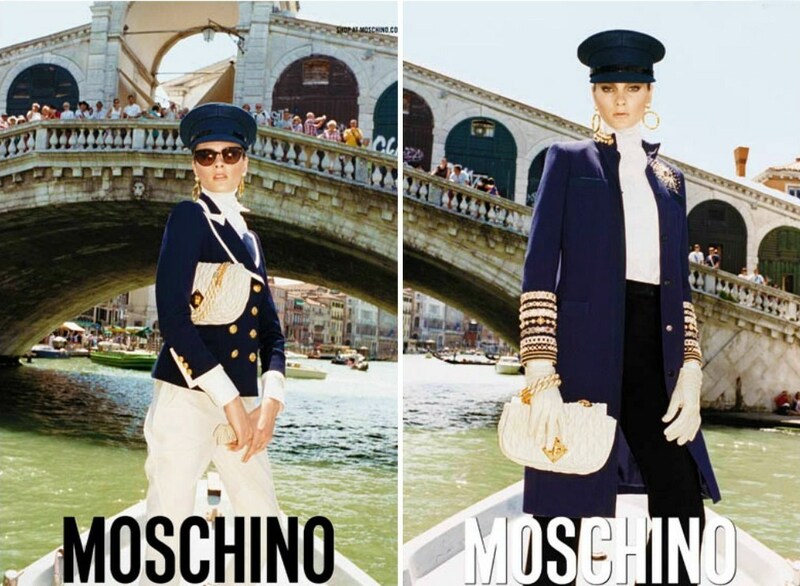 It's under the sky of Venice that takes place the last campaign of Moschino, which stylist Rossela Jardini surprises us brilliantly with a very "sailor-military" and preppy collection. 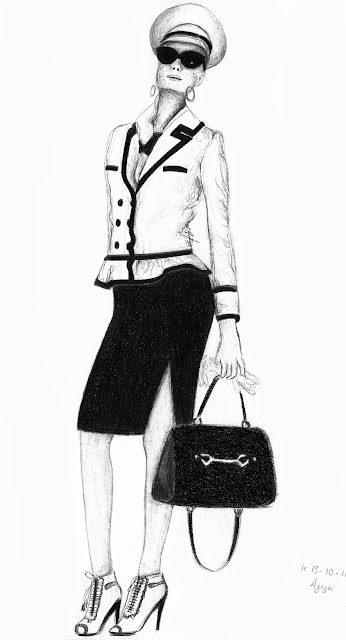 A very masculine collection in which the Miss Moschino, with shades of a feminine Corto Maltese , wears with pride captains' caps, spencers and blazers heightened of linings and other flowery accessories. Thanks for your comment :) I love Moschino too, and especially this campaign !